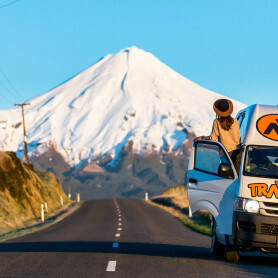 Here at Travellers Autobarn, we get a lot of questions about how to shave off that extra bit of weight when backpacking in New Zealand, as well as other packing-related queries. 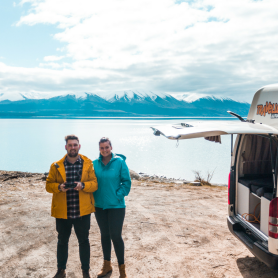 As a result, we thought we’d condense some of the FAQs into one handy post so you’ll be well prepared when you turn up for your New Zealand road trip adventure by being able to lighten your backpacking load. What’s the temperature like in New Zealand? Do I need tons of warm and cold-weather clothes? Well, it depends on where you’re going and in which season. You’ll need skiwear if you’re planning on heading to the ski resorts for example, but a light all weatherproof jacket should serve you well in general. We’d also include a pair of hiking trousers in our pack for warmth and practicality. New Zealand can get very chilly and windy so it’s important that you layer up for ultimate comfort. 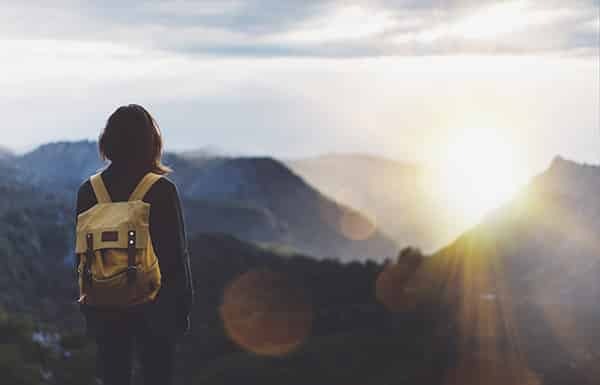 The best advice is to pack light when it comes to clothing and plan on washing your clothes at the laundromat – or even in the wild – as you go along. As for shoes, you’re probably going to need a good pair of hiking boots as New Zealand is hiker lover’s dream. Pack some thongs too and light sneakers though as you might not always want to be trudging around in your boots, and there are some gorgeous beaches in New Zealand too that you might want to visit. Are micro-fibre towels worth buying? Definitely. Not only are these towels super light and quick drying, but they also often come with an anti-bacterial coating, keeping them fresher for longer and preventing your bag and its contents from becoming mouldy and stinky. They might not be as comfy as a big fluffy bath towel, but when lightening your load is the goal it’s hard to go past them. They do come in various sizes too so size up if you like that bath sheet feel. Can I buy my usual cosmetics and toiletries in New Zealand? 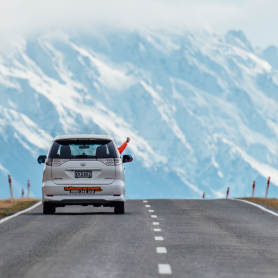 New Zealand is a Western country with plenty of shopping options, so if you forget anything then you’re sure to be able to pick up a replacement. However, if you’re really attached to a certain sunscreen or brand of face wash, for example, it’s best to bring it so you don’t have to waste time shopping when you’re getting off the beaten path in one of our vans. We highly recommend tipping the contents of some of your fave products into travel-size bottles before you come, too. No one needs to cart around a 500ml bottle of shampoo for two weeks. Do I need a water bottle? Yes. Keeping yourself hydrated is vital. 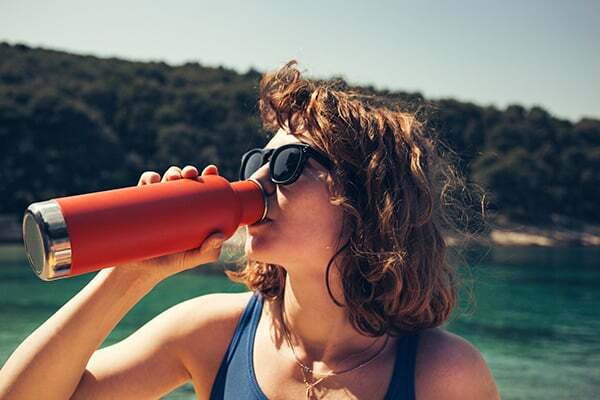 However, consider a hydration bladder rather than a water bottle. These fold up when they are not full and are ultralight – saving you significant weight and space and are pretty handy if you store it in your backpack. What about bedding? Should I bring a big down sleeping bag? It can get pretty chilly at night in New Zealand so you will want to make sure you’ve got the right sleeping kit. You can get incredibly light sleeping bags these days and you can also buy a thermal lining separately which can make your sleeping bag more versatile. Be sure to shop around and you can always buy extra blankets if needed. I should probably bring my laptop for evening entertainment, right? Wrong! Just bring your smartphone. You can do everything from ordering bus tickets to reading a book on these awesome gadgets these days. If you really love watching films and want a larger screen, then think about investing in a compact netbook or tablet instead of bringing a bulky computer. What’s the one surprising item I should always pack to save space? A sarong – for both men and women. It doubles up as an extra skirt, dress, head cover, towel, blanket, makeshift changing room on the beach … the list goes on. As sarongs are so lightweight, they take up barely any room. You can even tie it to your straps for extra space. Ask yourself what you didn’t use on your last trip. Think about the item/s that sat around in your bag doing absolutely nothing. Be ruthless! You can always stock up after you arrive if it’s really necessary. Are you ready for the adventure of a lifetime? 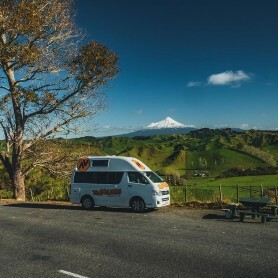 Book your campervan online with Travellers Autobarn today!